Jaguar is an old name with an incredibly fascinating history in the automobile industry. It has an enviable reputation for sophistication and style and to this day retains its classy, quintessential English image created decades back. The Jaguar history started, by the efforts of William Lyons and William Walmsley, who founded the Swallow Sidecar Company way back in 1922. Continue reading to learn more about the Jaguar logo, the company’s history, and their current car models. It started as a sidecar business for motorcycles, but a year after shortened its name to SS Cars Ltd. It was during this time that the company began fashioning bodies for chassis built by Fiat, Austin and other famous automobile manufacturers. 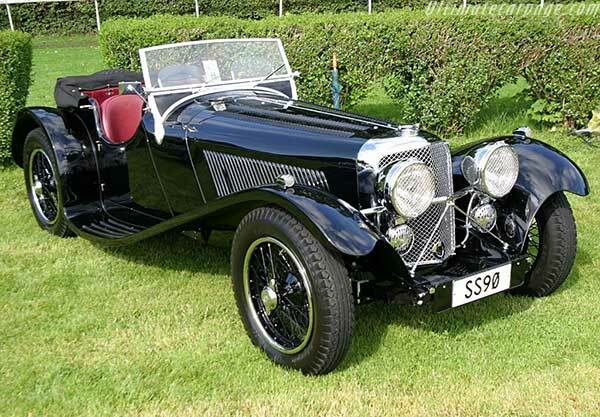 By 1931, SS Cars Ltd joined hands with Standard Motor Company to work on their first car, the SS1. That same year, the company finished building the SS1, which was unveiled at the London Motor Show. The car featured a 2.0-liter six-cylinder side-valve engine that delivered a top speed of 75mph at a price of only £310, which was quite low when compared to other manufacturers. In 1935, the company introduced the SS Jaguar name with the SS90 (picture above) and SS100 saloons. The same year, in an effort for the company to distance itself from negative connotations for the Nazi SS in Germany, SS Cars Ltd changed its name to Jaguar Cars Limited. At the beginning of the 40s, Jaguar began producing high-performance luxury cars. However, due to the impending war, the company returned to building sidecars, but this time for the military. During the war, Jaguar managed to create a twin-cam straight-six engine that the famous XK120 used in 1948. 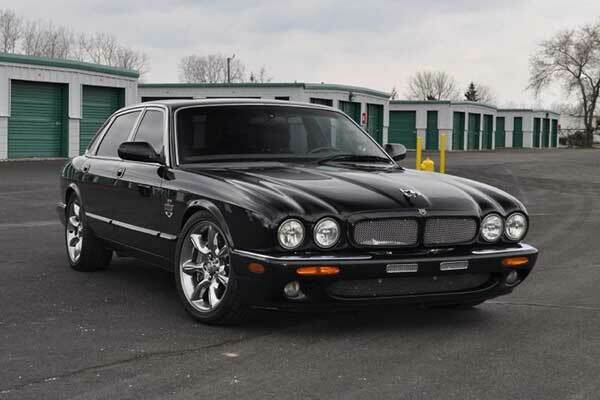 However, after the war, Jaguar started facing cash flow issues and business was not exactly going well. Therefore, in an effort to get the company back on its feet, Jaguar sold the plant of Motor Panels (A manufacturing company they had acquired in the 30s). The money received helped the company complete its XK120 model and once again, Jaguar was in the green. Originally, Jaguar intended to create only 200 models of the XK120, but consumer demand forced Jaguar to gear up for mass production. In 1954, Jaguar introduced the famous XK140, which was a drophead coupe version of the XK120. The same year, Jaguar also released the XK150 and invested more than £1 million to develop the famous 2.4 MK1 saloons. In 1957, the company introduced more developed 2.4, 3.4 and 3.8 models, which soon became popular as ‘Mark 2s’. 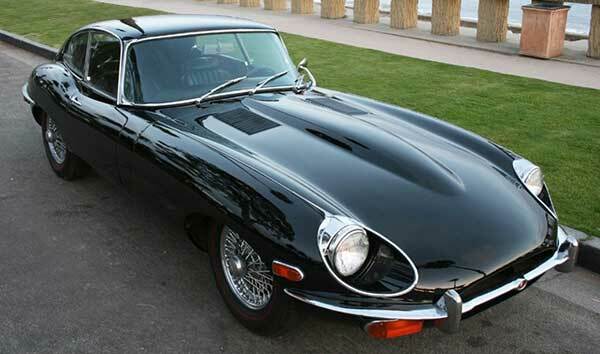 In 1961, the company introduced the Jaguar E-Type, which is arguably the most famous sports car of all time. 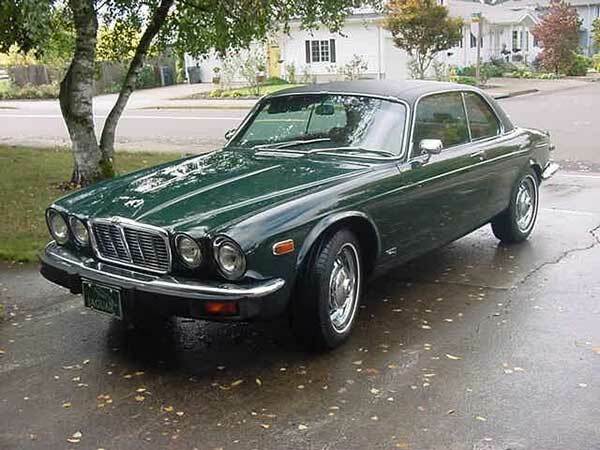 That same year, Jaguar acquired Daimler and purchased the truck manufacturer Guy Motors. In 1963, the company took over Coventry-Climax, which was a maker of forklifts and engines. In 1966, Lyons announced that Jaguar would merge with the British Motor Corporation. In 1968, Jaguar merged with British Motor Corporation and formed British Motor (Holdings). However, a few years later, the Government forced BMH to merge with Leyland Motor Corporation and so it did, thus forming British Leyland. However, the merger between the companies did not prove successful and by 1975, they separated. Jaguar was now a public company and soon ran into financial difficulties. Sir William retired too but lived to see the revival under Sir John Egan, which led Jaguar back into private ownership in 1984. In 1986, John Egan reported that he had tackled many of the main issues that were preventing the company from potentially selling more vehicles. In fact, he laid off more than 10,000 employees to cut overall operating costs. By 1989, the company was not doing well at all and Ford began making offers to buy Jaguar’s shares. In 1990, the London Stock Exchange removed Jaguar from its stock listings. Therefore, the company accepted Ford’s offer and became part of the New Automotive Group along with Land Rover, Volvo Cars, and Aston Martin. However, it seems that Jaguar made a wrong decision, as the company never made any profit under Ford’s ownership. By the 2000s, Ford bought Land Rover and the brand got in good terms with Jaguar, thus forming Jaguar Land Rover. In 2009, Ford finally decided to sell the company, as it was unable to make a profit. After 10 months of negotiations with Tata Motors (Indian Car Manufacturer), Ford finally sold the company for $2.3 billion. Today, Jaguar is still on the road to recovery and is under the ownership of Tata Motors of India. As of 2011, the company had been using Land Rover’s Solihull plant to manufacture new models of the X-Type and F-Type. Additionally, the company has opened a new assembly plant in Pune, India. 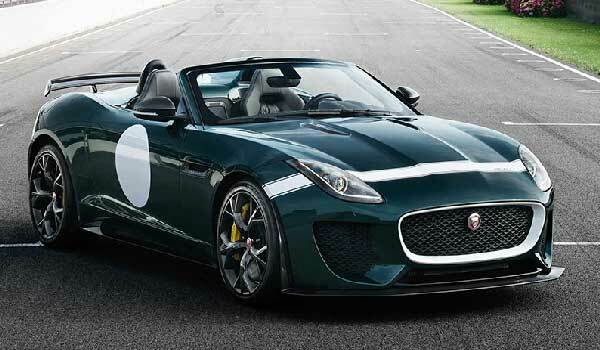 Regardless, Jaguar continues to build X-Type cars, both coupes, and sedans. Some of the latest lineups introduced by the company include the XF, XJ, and XK, all of which seem to share a few styling cues with stablemate Volvo and previous owner Ford. From the history of Jaguar, it is clear that the company made many wrong decisions which have led to major problems over the years. Regardless, with its new beginning under Tata Motors ownership, who knows the company might establish itself as a top automobile manufacturer once again.